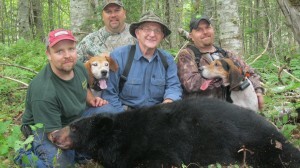 One of the most successful ways to hunt for trophy bears is to pursue them with hounds. Maine’s vast wilderness and diversified terrain, along with its endless system of logging roads offers a truly remarkable opportunity to enjoy this exciting style of hunting. 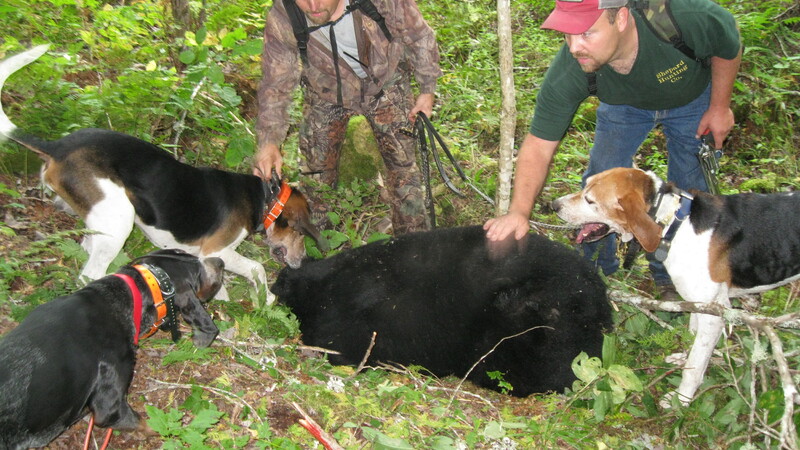 Every season, after several weeks of intense hunting over bait, we switch gears and start hunting bear with hounds. 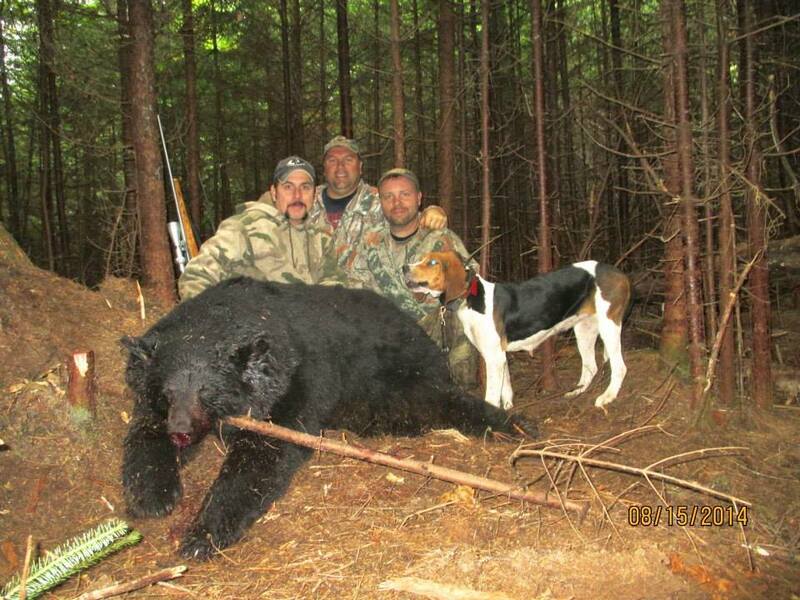 This is a very fast paced, action packed method of harvesting a bear. Over time, many bears become wise to bait hunting scenarios, and begin hitting the sites after dark and early in the pre dawn hours. 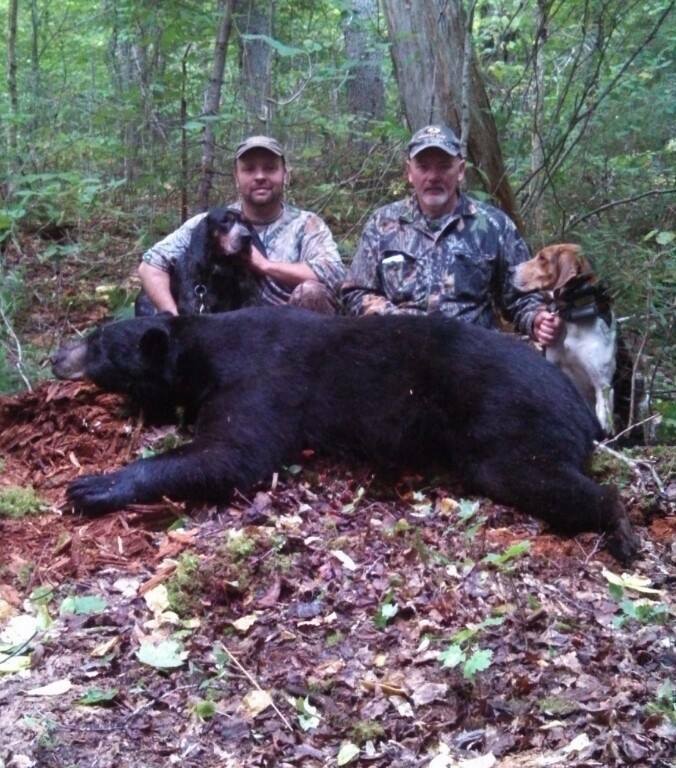 These bears are prime candidates for hound hunting. 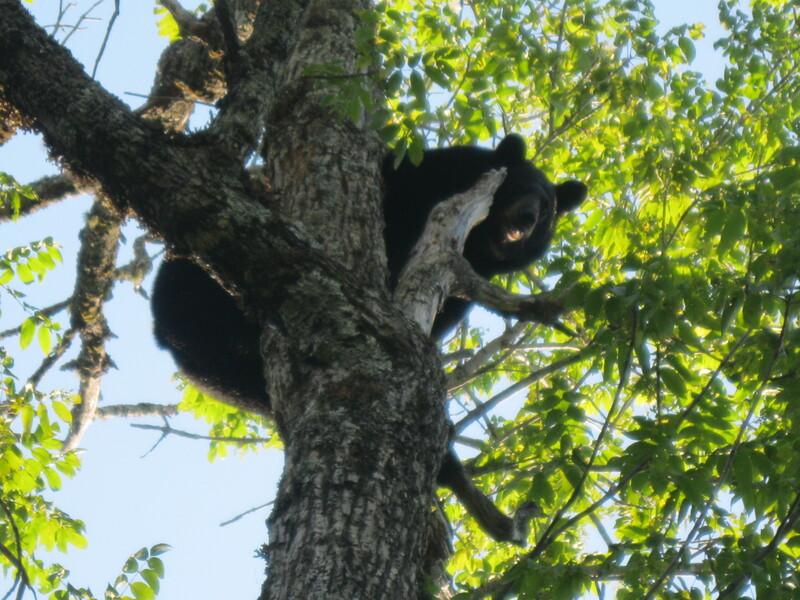 Bait sites are carefully monitored prior to the hound season in an effort to establish the feeding schedule of nocturnal bears, and baiting methods are altered to maximize late night and early morning hits. Our hound hunting packages are fully guided, one on one, six day hunts. Your week long hunt will include three home cooked meals per day, seven days/nights lodging, guiding, transportation, and field care of your bear. Each hunter will have his own guide and pack of hounds for the full week, and are encouraged to be selective with the bear they harvest, knowing that several opportunies should arise. 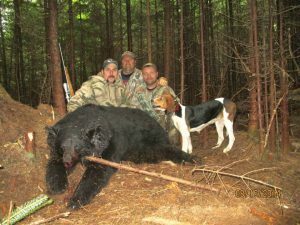 Our success rate on bear hunting with hounds averages around 90 percent, with the largest bear taken to date being a 560 lb. bruin.